With the weather being pretty naff across the country at the moment it’s reasonably sensible to be looking at clothes that will keep us warm and dry. 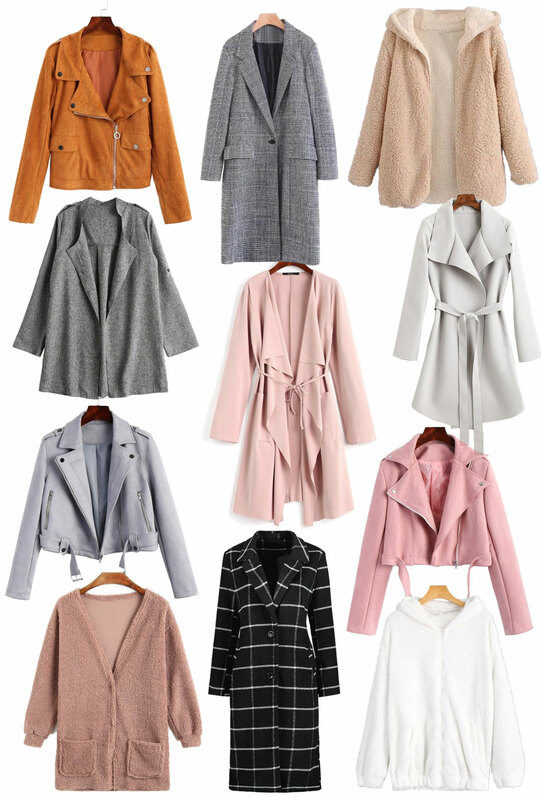 While that sounds boring, it really doesn’t have to be because there’s some great looking cosy knitwear and equally gorgeous outerwear to get excited about out there this post included as it shows some of my favs from a site called Zaful. I love shopping for these sorts of items because it’s easy to convince yourself you’re being sensible and buying something you really need. Whether that’s true or not it neither here nor there when you’re convincing a loved one that the purchase is justified. If you haven’t at least tried on a teddy coat where have you been? This fluffy outerwear is such an easy-to-wear item that everyone has been going mad for. It’s like a relaxed version of a sleek fur coat because the teddy is a bit rough around the edges kind of like a sheep and it’s super cuddly. I’d love to get hold of either a white or a tan coloured teddy jacket and wear it over the casual shirt dress and boot combos I’m wearing a lot at this time of year. Check is one of the big patterns of the season, be it a fine detailed houndstooth or oversized grid, checked coats are in and they're everywhere. While I'd loved a double breasted houndstooth coat it's a longline wool blend large grid check coat that is at the top of my to-buy list. As always I can't look at jackets and coats without bringing a biker jacket or two into the mix. This style works for all seasons, taking the edge off the wind and looking great in the process so I have a biker in all sorts of styles and colours, I don't have a grey one though (or pink) so maybe they'll be next in my biker buy list. All of these items are from Zaful and are very reasonable prices, each product is linked below.